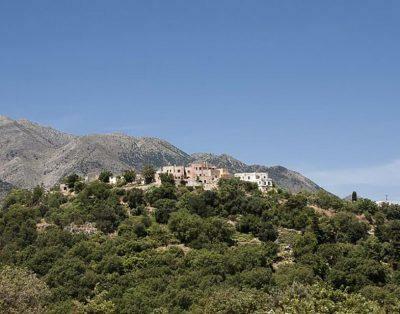 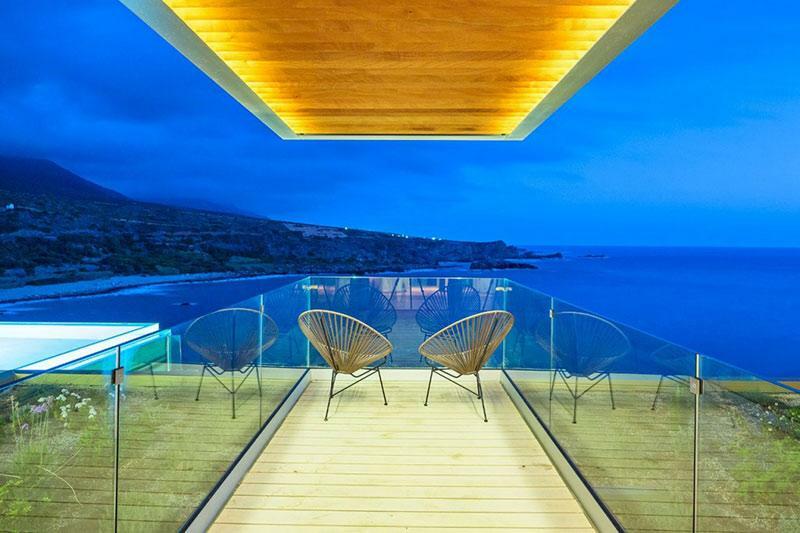 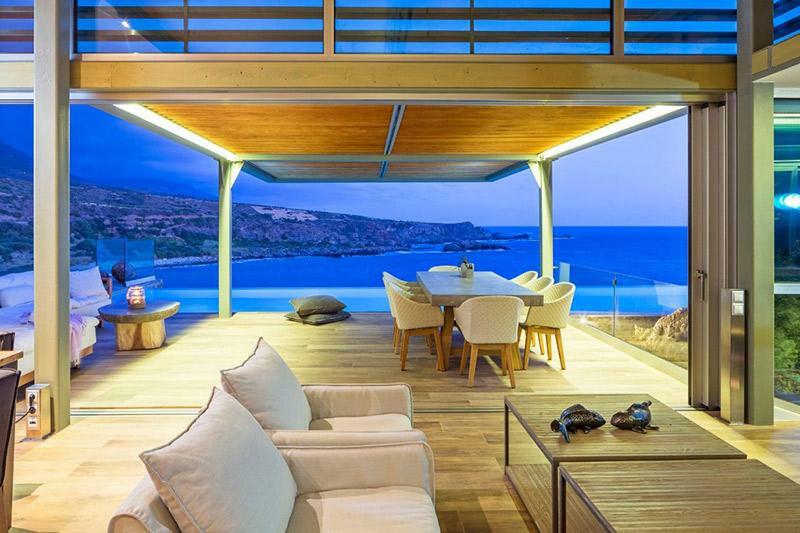 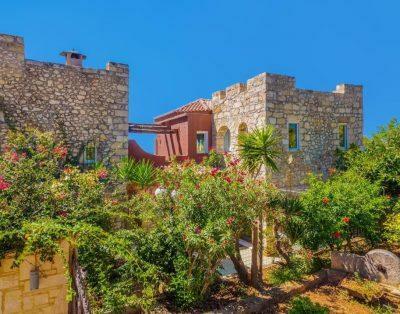 Superb luxury seafront villa – Hermes | Villas in Crete to rent - Holiday villas for rent in Crete. 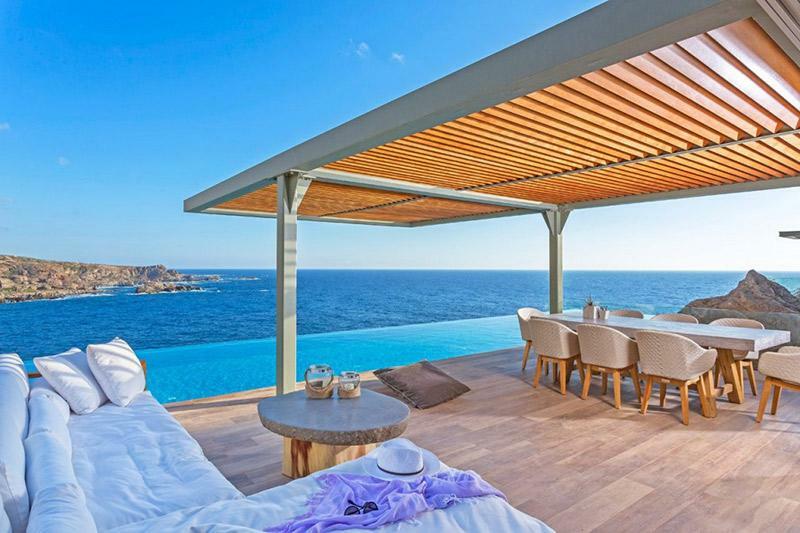 Superb sea front luxury villa that sleeps up to 8 persons. 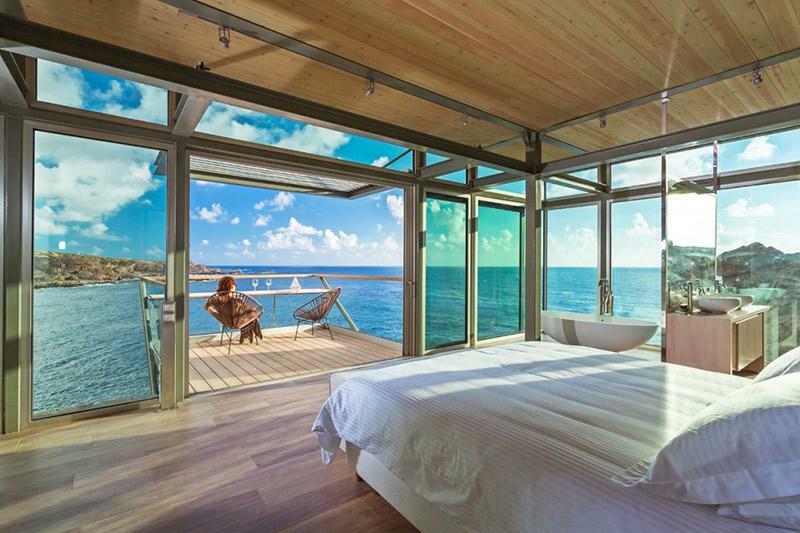 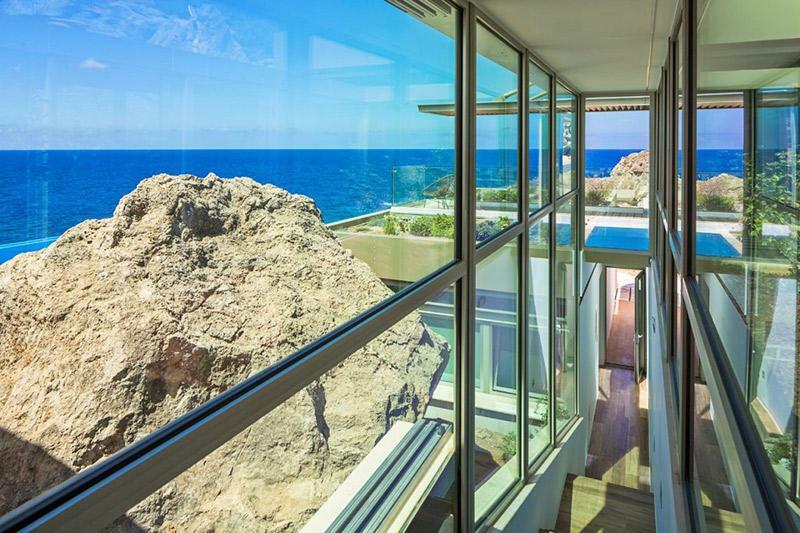 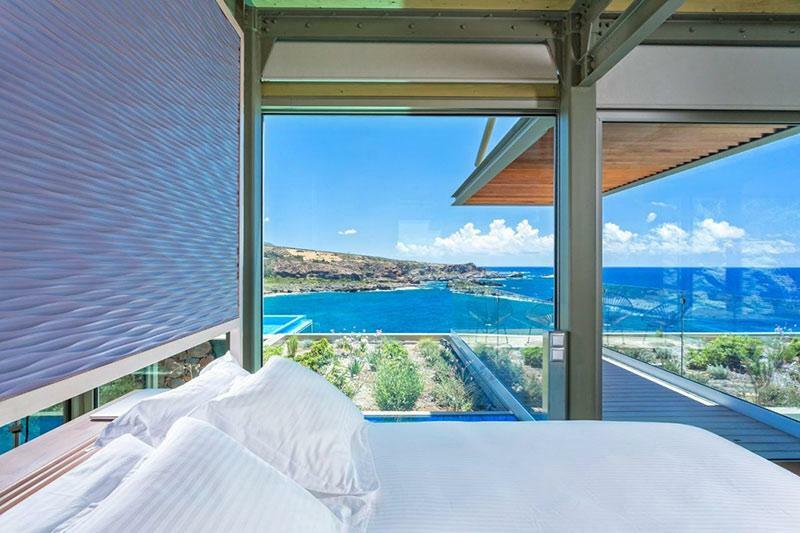 The first master bedroom, located on the ground floor, features an en-suite bathroom and, through its vast glass opening offers an unsurpassed view to the sea and to the illuminated rocks. 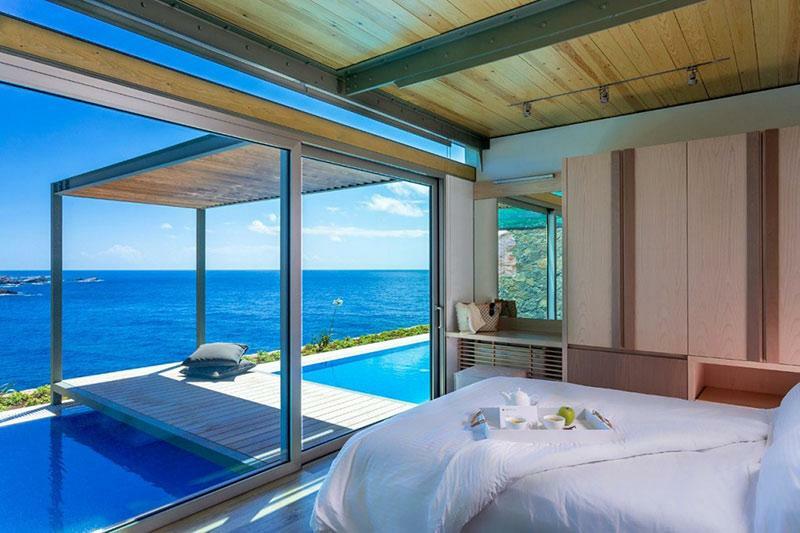 The second and the master bedroom with ensuite bathroom located on the lower level has direct access to the plunge pool. 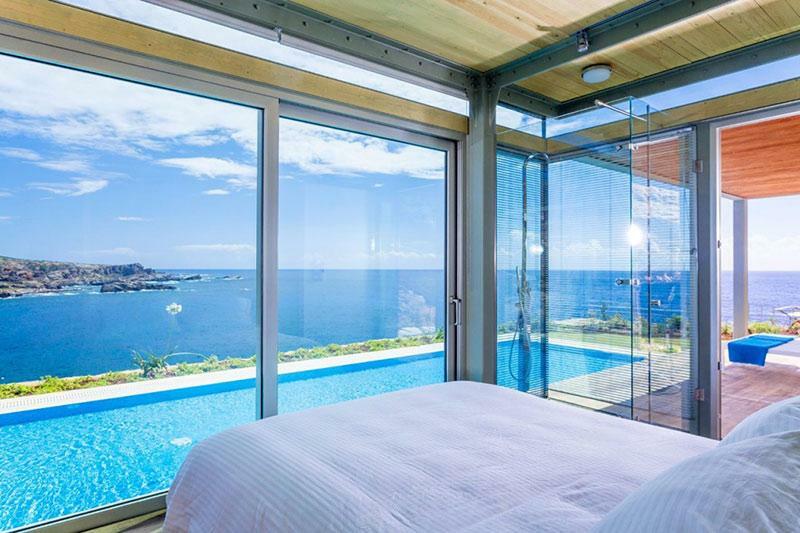 A third master bedroom with its bathroom are found on the lower floor of the villa. 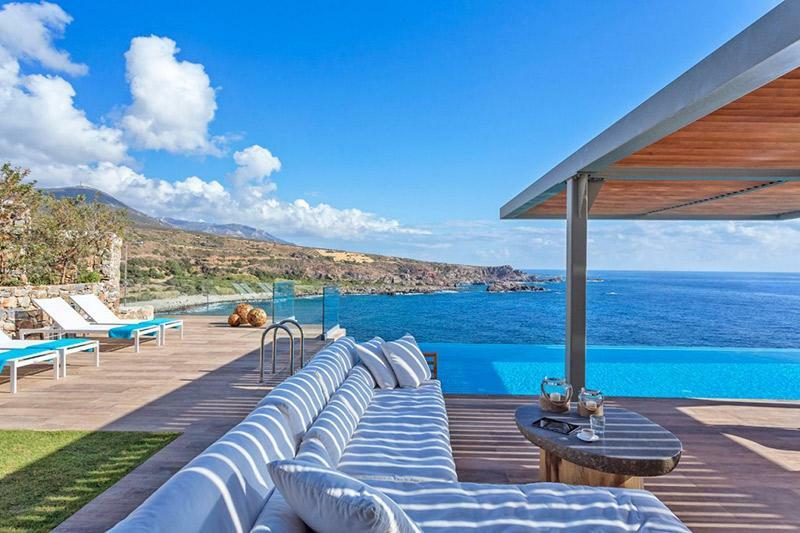 An absolutely autonomous guesthouse for visitors further enhances the feeling of exclusivity in this majestic villa as everything here adds up to an utterly relaxing retreat for families looking to connect and/or friends looking to relax and recharge in absolute serenity and total privacy. 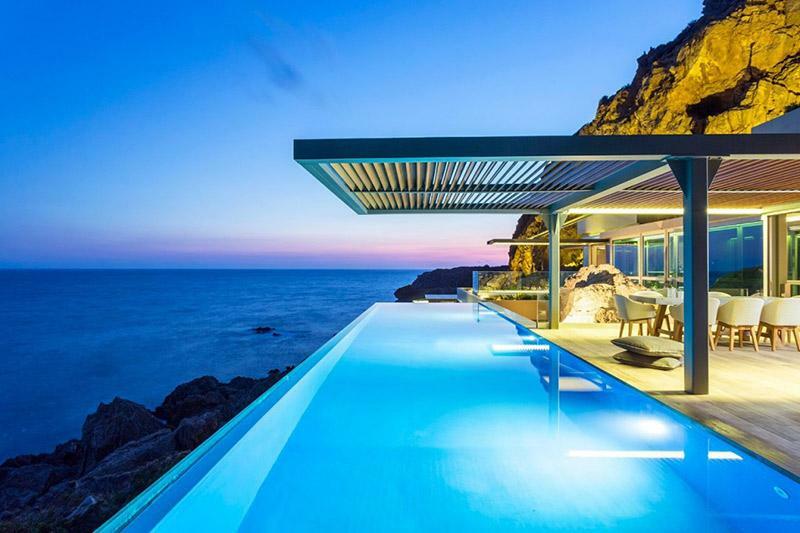 Exterior Layering itself down the side of a rocky cliff, the villa is cut into the landscape effortlessly embracing the elements of nature. 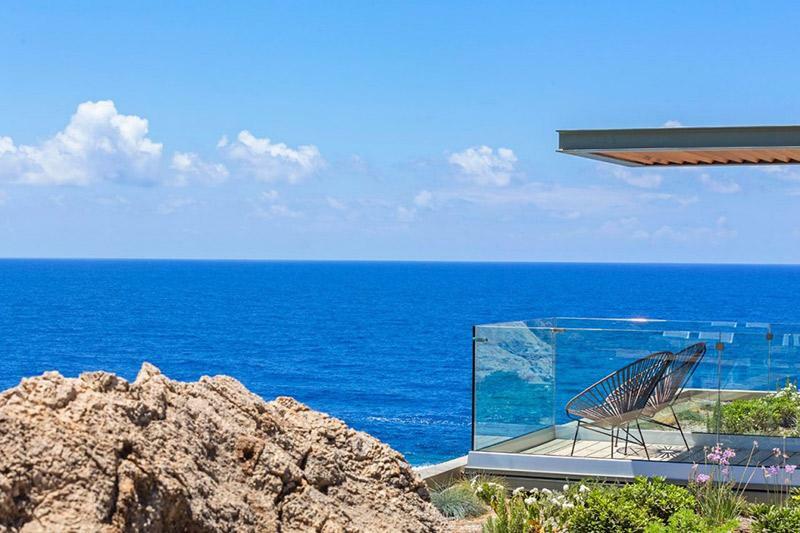 Details, such as the big rock which has been turned into an element of the structure, or the small waterfall linking the property’s main pool with a plunge pool a level below, create a restful sanctuary of peace and serenity just a stone’s throw from the beach. 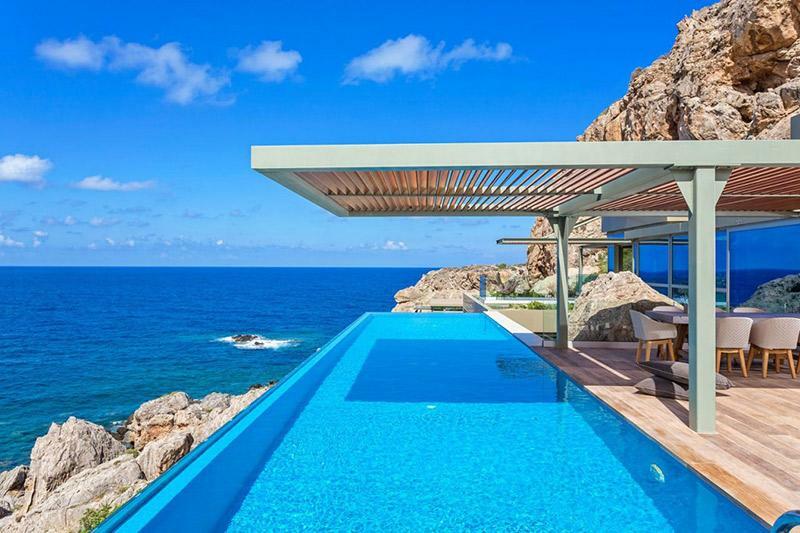 Meanwhile, the pool’s glass edge makes you feel as though the water flows right into the sea! 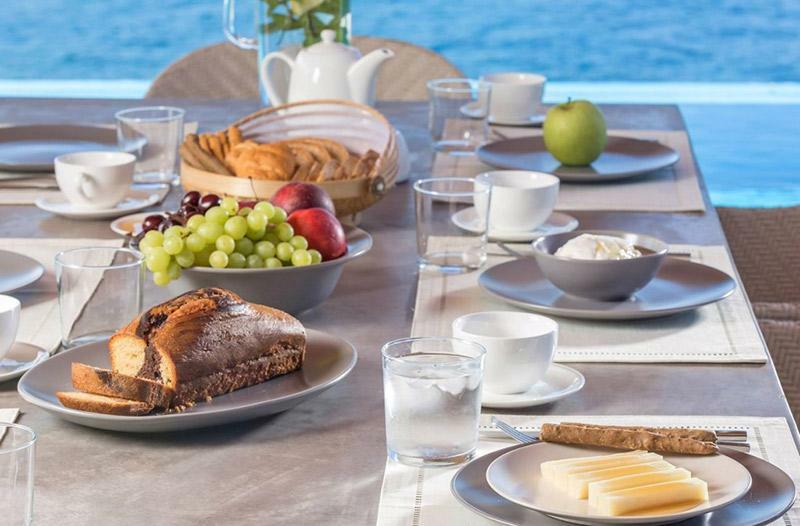 Throughout the villa guests are encouraged to indulge in a joyful sense of harmony, which appeals to devotees of the Cretan spirit. 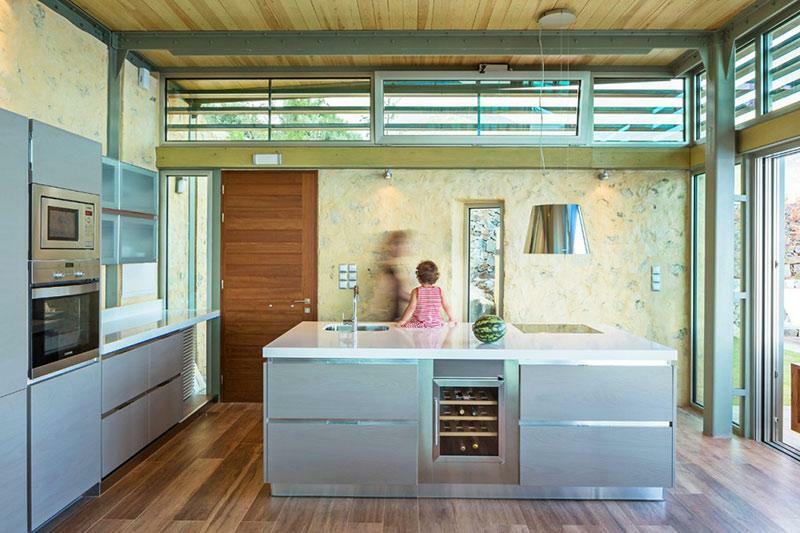 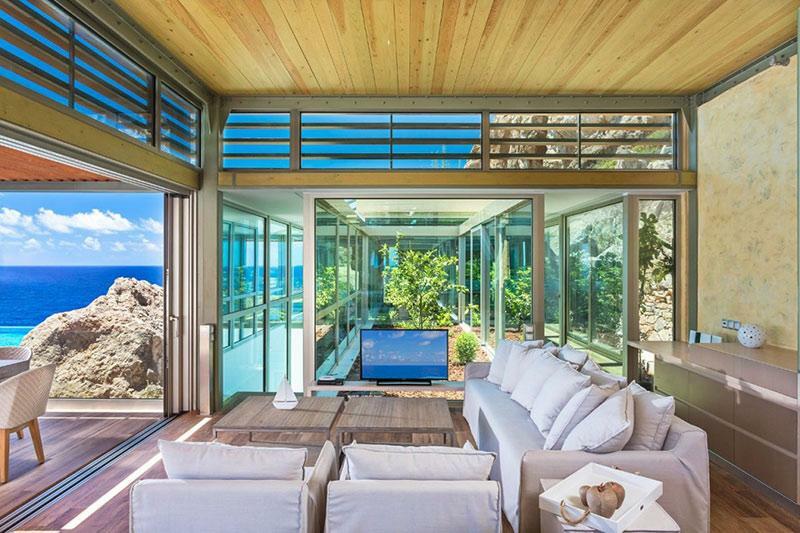 In this enchanting hideaway eco-awareness coexists with contemporary aesthetics. 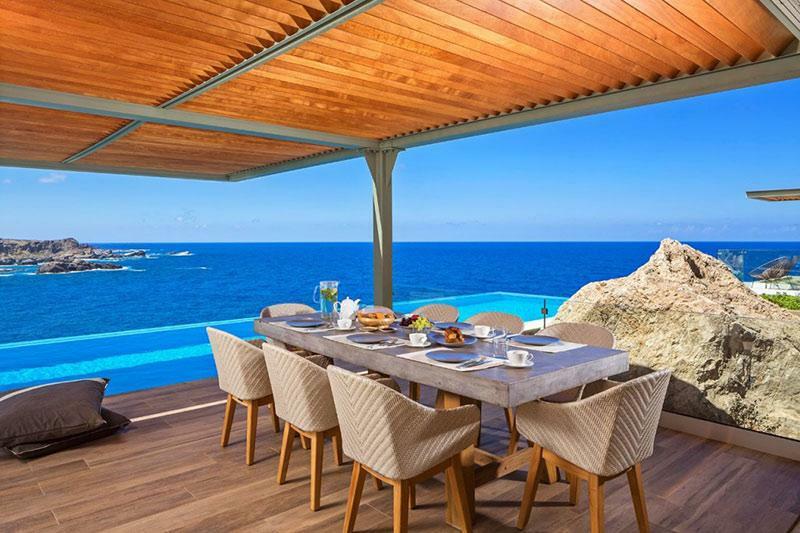 Frugal lines and straight edges frame the raw magnificence of the natural setting high above the Libyan Sea, without sacrificing the comfort of direct accessibility by car.